Teachers will work for Tacos! Teacher Appreciation Week is just around the corner. This year, it falls on Cinco de Mayo. Being that I am a teacher and that most schools are theming their teacher appreciation week with a Mexican theme, I decided that one of my gifts would be as well. I have one child in daycare and one in school. Each one of my boys has two-to-three teachers a piece. In order to make sure each teacher receives a little something everyday, I decided to make a seasoning blend. 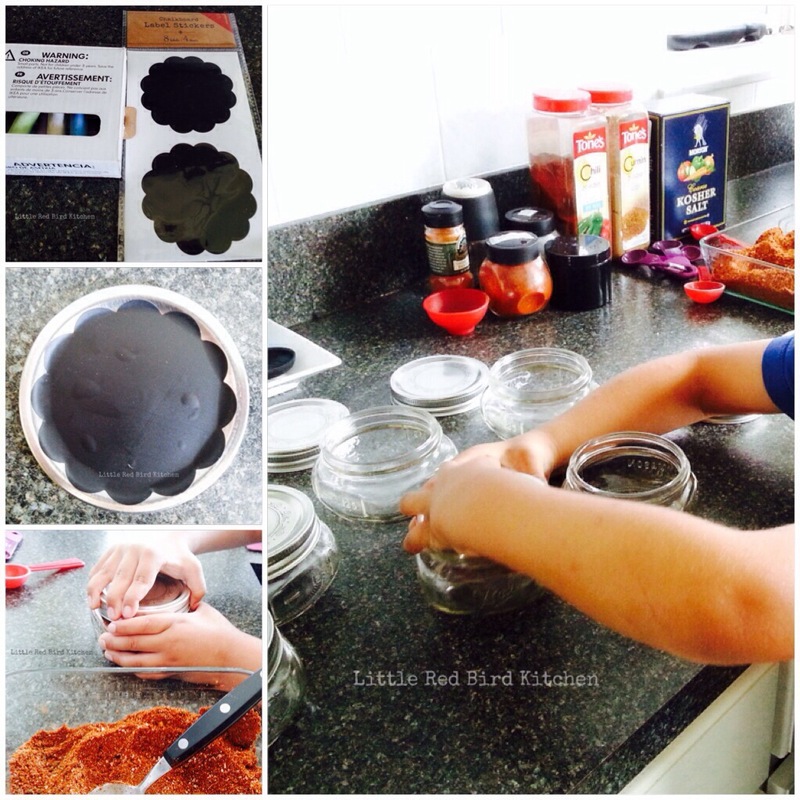 I bought some mason jars, and some chalkboard stickers for labels. I always have large spice containers that I buy at a local bulk store on hand, so I didn’t have to buy those. 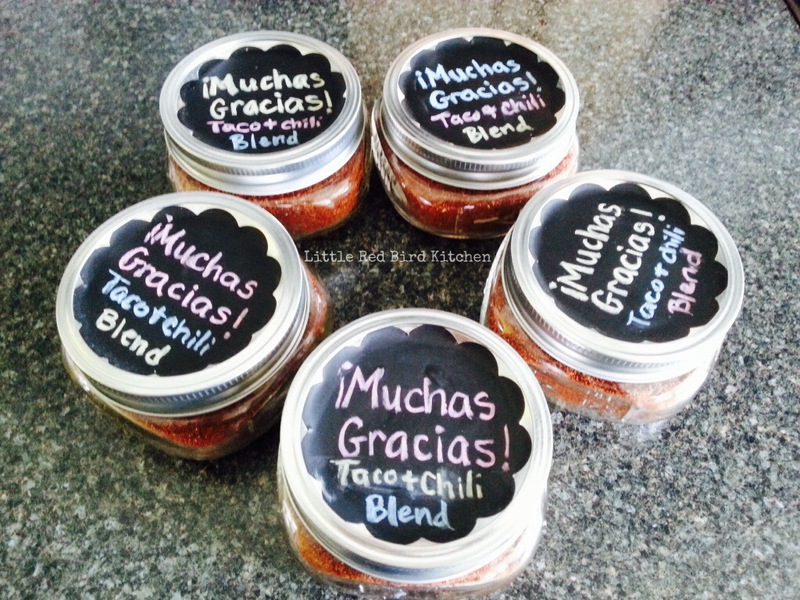 If you don’t have these spices, you can fill these jars with your favorite blend of spices, flavored sugars, or candies. This makes a thoughtful gift with an inexpensive price tag. What’s really cool is when the teachers are done with them, they can fill it with whatever they want and reuse the label. I also had my oldest help me put it together. He had a really great time measuring, mixing and counting. He is super excited about giving it to his teachers, too. 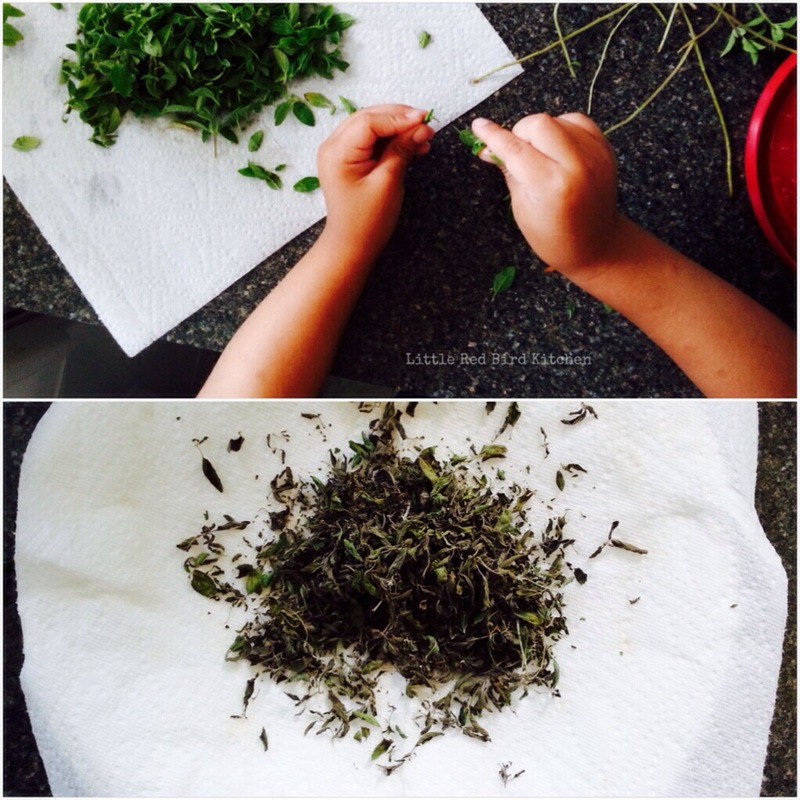 We grow oregano in our herb garden and dried it ourselves by zapping it in the microwave until it dried out. You don’t have to do this. We just have so much at the house that we decided to use our own. You can buy it dried if you want or buy some fresh at a local nursery and place it in your windowsill . For the rest of the week, we have instant coffee with a reusable Starbucks cup, chocolates in a cute container and notecard, and a small container of flowers that we got at a local nursery. You don’t have to give a gift everyday. You can just give something small one day or even a hand written note from a parent or child is truly enough. Keeping it simple and heartfelt is all we need. I hope your teachers enjoy your gifts of appreciation. Yields about 2/3 cup for a half pint mason jar. This recipe fills 4 half pint mason jars. You can half or quarter it to meet your needs. In a large bowl, combine chili powder, garlic powder, onion powder, crushed red pepper flakes, cayenne pepper, oregano, paprika, ground cumin, sea salt, and black pepper. Store in an air tight container at room temperature. 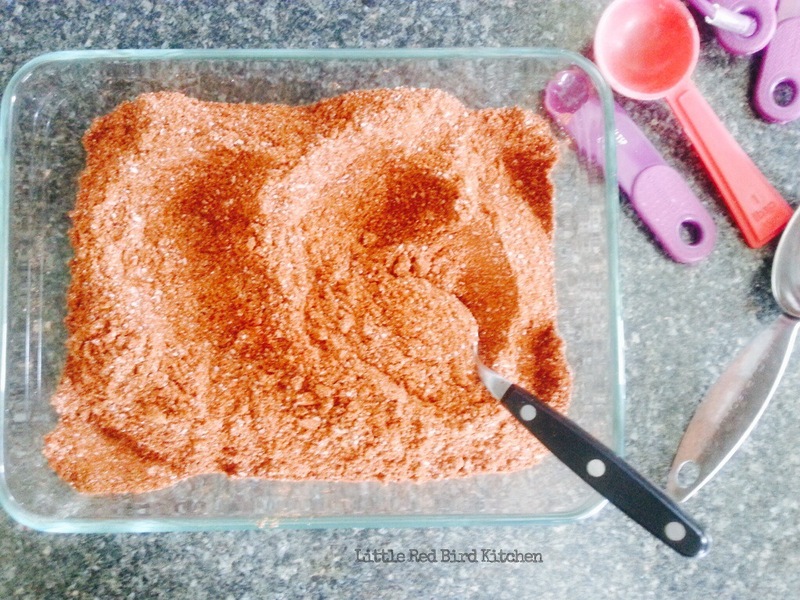 – Store in an airtight container, this spice blend will keep for up to a year. 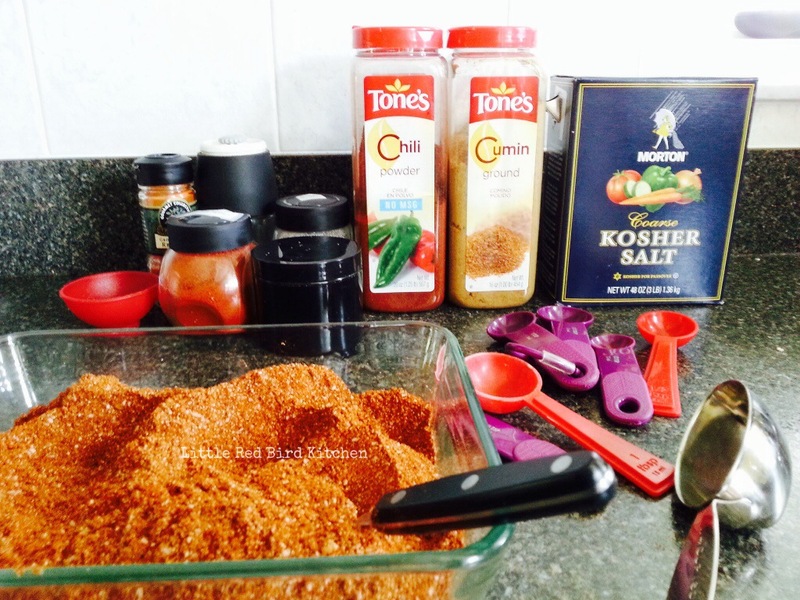 – When making chili or tacos using one pound of ground beef, start with 1 1/2 tablespoons of the seasoning blend and adjust according to your tastes. – Original recipe is courtesy of My Baking Addiction. This recipe can fill one half pint mason jar.